While some of the other pests we have covered in recent articles, such as the cockroach or rat, may seem more repulsive than a common ant, ants can be a cause for concern when they take up residence in your home. Here in California, we have a variety of ant types living in our gardens, yards, and sometimes inside our buildings. Some of these ants are actually extremely beneficial to have around, while other ants are invasive and pose a risk to your health. As your local Sacramento pest control company, not only do we provide help to residents and business owners with the eradication of pests, we also believe in providing education about these pests to our clients. 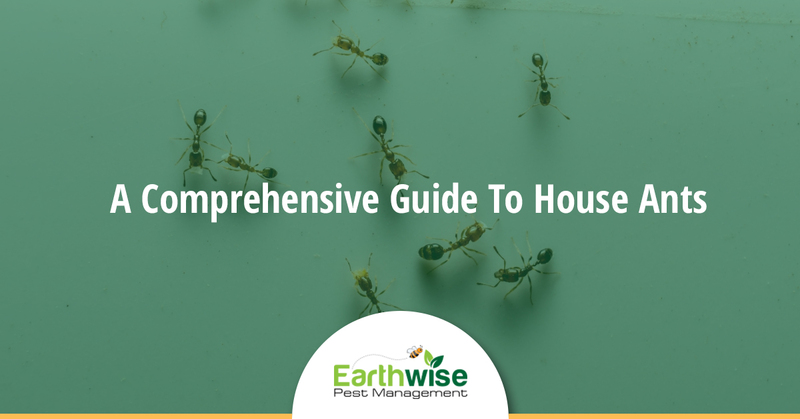 Read on to learn everything you need to know about house ants and reach out anytime with further questions about these small pests. What Is A House Ant? A house ant is a tiny insect, usually around 1/16 to ⅛ of an inch in length. These creatures feature a small head attached to a thorax with a super thin waist leading to their abdomen. A house ant is an extremely social creature and will live among other ants in a complex colony involving castes and specific duties. Here in California, we have a variety of ants that reside alongside humans. 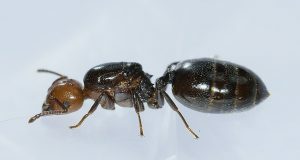 A few common ants in California include the Argentine ant, the Pharaoh ant, the odorous house ant, the thief ant, and the pavement ant. While ants are not as repulsive to most humans as a cockroach or spider might be, they are still a nuisance when they invade your home or overtake your property. Ants play a vital role in our environment and ecosystem and, when they are occupied outdoors leaving humans untouched, they can actually be extremely beneficial. However, the moment ants find a preferable food source inside your residence, they quickly become a large nuisance. Depending on the type of ant that has invaded your home, their preference for food will vary. Most house ants will feed upon sugary foods, such as syrups, honey, and fruit juices. Others will have a propensity for meats and fats. When ants find a food source in your home, it will be extremely simple to notice as they will travel to the food source in a long trail of thousands of ants at any given time. Over time, if your home seems like a suitable location for a quality supply of food, ants may start colonizing your home. If ants have invaded your home, it is very likely that they are one of the following five ant types. Identifying which of these ants have taken up residence in your property will be important when it comes to eradicating them. Argentine Ant: This ant prefers sweet foods and usually nests outdoors in a shallow mound. These ants are dull brown in color and around ⅛ of an inch in size. Pavement Ant: As this ants name implies, a pavement ant prefers to live around stones, sidewalks, or foundations. These ants are dark brown or black in color and around 3/16 of an inch in size. They will feast upon almost anything with a preference for sweets, fats, and meats. Pharaoh Ant: One ant that adapts extremely well to house-living is the Pharaoh ant. These ants are happy to live in walls, cabinets, baseboards, or even in your home’s insulation. They will eat fats, sweets, and meats. They are a distinctive color, ranging from light yellow to orange, with a body length of around 1/16 of an inch. Odorous House Ant: If there were ever a description to give away this insect’s notable feature, the odorous house ant’s name says it all. When crushed, this ant will produce a strong and unpleasant odor. Dark brown to black, an odorous house ant prefers sweet foods but will sometimes resort to protein-based diets. These ants will happily live indoors in gaps in your walls or around pipes and heaters. Thief Ant: With a big appetite, a thief ant is willing to find their food from any source, including other ants. These sneaky insects will eat other ant larvae or will steal away other ants food from their nests. These ants are yellowish in color and prefer greasy, fatty foods. They prefer to live in your home’s baseboards, but can also be found living outdoors under rocks. Ants exist in a complex colony, where each ant has a different vital role. The queen ant is the largest ant in the colony and is the one responsible for reproduction. Sterile female workers do the brunt of the labor, finding food, tunneling, and defending the colony. Males exist solely to mate with the queen and most colonies do not contain many males. Ants go through each metamorphosis stage — egg, larval, pupal, and adult. Because ants are extremely good at rapid colonization, the moment you spot ants in your home, you need to call in professional help. Here at Earthwise Pest Management, our local Sacramento pest control company can help you eradicate the troublesome pests in your home. If you are facing an infestation of house ants, reach out to our team for assistance today.